By happy coincidence, the rover's accelerometers can be used like Apollo 17's gravimeter. 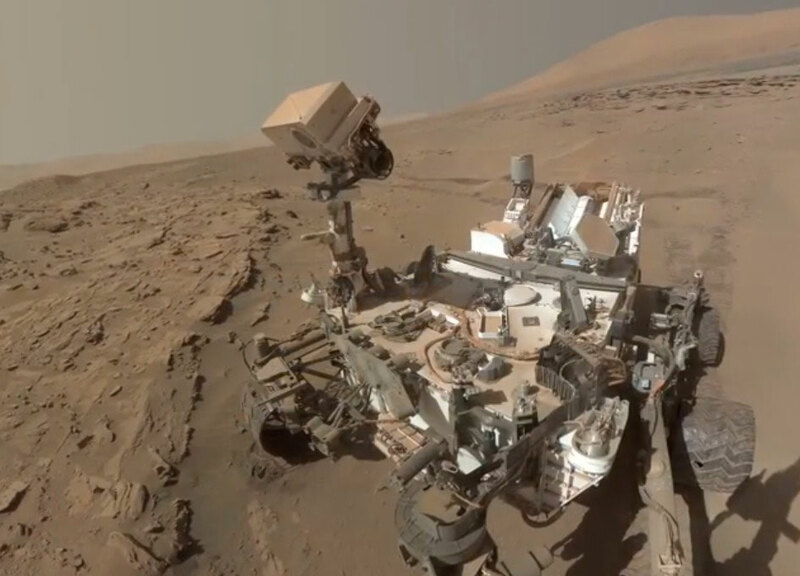 The accelerometers detect the gravity of the planet whenever the rover stands still. Using engineering data from the first five years of the mission, the paper's authors measured the gravitational tug of Mars on the rover. As Curiosity ascends Mount Sharp, the mountain adds additional gravity -- but not as much as scientists expected. If the crater had been filled to the brim, all that material should have pressed down, or compacted, the many layers of fine-grained sediment beneath it. But the new paper suggests Mount Sharp's lower layers have been compacted by only a half-mile to a mile (1 to 2 kilometers) -- much less than if the crater had been completely filled.